The other day at work, we were discussing Halloween. We are allowed to wear costumes that day, and I am all about it. I take every opportunity to role play whenever I can (that's what she said). So now the question is...what should I wear? I have some ridiculous costumes from my marketing days at the casino - a turkey, a 50's girl, cowgirl, witch...but I have been recycling those for years. 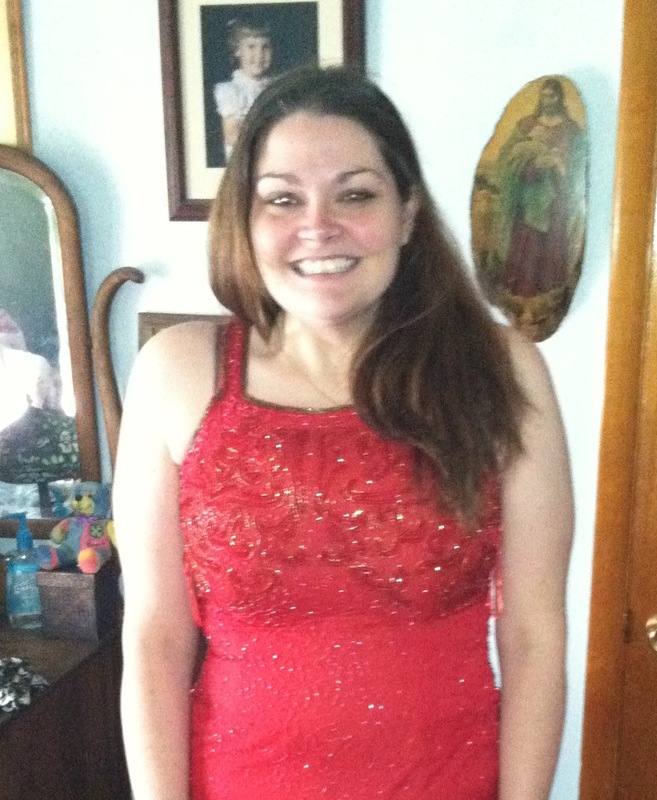 One of my co-workers, Lindsey, suggested wearing our old prom dresses or buying one from the Goodwill. Awesome! I mentally started planning a trip to the Dillards next door to Kaplan, which is a outlet store and everything is dirt cheap. But then I got to thinking...could my prom dresses from high school fit again? The red one is from my sophomore prom, and the yellow one is from my senior prom. I wore a black one to my junior prom, but it is TINY - I can get it on, but wow. That was the year I took some class where all we did was lay in the gym and do stomach crunches for an hour every day. My next goal will be to get in that dress!